Would you say you are a good listener? Or rather the opposite? Do your thoughts like to wander? Or do you like to play with your mobile phone? Active listening has become an essential cornerstone of interpersonal communication. But what is active listening? Developed by Rogers, Gordon, Schulz von Thun, and many other scientists, the techniques of empathic listening facilitate relationships and enable non-violent conflict resolution. As a leadership competence and essential component in conflict management, learning active listening is worthwhile - for coaches and executives as well as for parents and therapists. This article informs you about the basics and how active listening can be learned - including examples and exercises. In interpersonal matters, listening for mutual understanding plays an important role. But how often do misunderstandings arise? How often do conversations take a course that nobody has anticipated? Active listening starts at these places. It requires activity on the part of the listener and, in contrast to passive listening, allows for a non-judgmental, benevolent and understanding atmosphere. For all groups of people, the technique of active listening offers great potential for better understanding conversation partners and making conversations more empathetic. Because there are clear differences between hearing, listening and paying attention. So that such a form of listening can succeed, various concrete prerequisites and techniques are available. 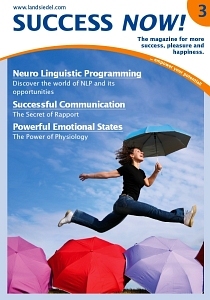 These include both verbal and linguistic methods as well as nonverbal, body language techniques. A listener sends many different signals to his counterpart. What is said can be interpreted differently. Accordingly, listeners usually use other signals, such as gestures and facial expressions, in order to correctly understand a message. Gestures and facial expressions as well as the tone of voice and the choice of words significantly influence how a message is received. It can also help to create a peaceful atmosphere of benevolence and understanding using the techniques of empathic listening. An important basis for a conversation to be free from misunderstandings lies in the activity of the listener. Anyone who listens actively takes the necessary time for the other person and shows them more interest. Attention is a keyword here. This requires, above all, a certain empathy and concentration for listening to succeed. An open, posture facing the speaker helps to convey a sense of acceptance to the speaker. The speaker feels encouraged to speak by eye contact and attentive body language. It is also helpful to avoid distractions. Accordingly, it is advisable for the listener not to look at the phone during the conversation or to make phone calls or to occupy oneself with other things. Interest in the speaker and what he or she says is a core element of active listening. Attention is also shown by the fact that the listener tends to say little but listen more intensely. Emphatic listening is not about manipulating the conversation and driving the speaker in a particular direction. Instead, pauses in conversation are to be tolerated. It is essential that the interlocutor is able get express all his thoughts and feelings. This applies especially to emotional persons and conversations that are strongly emotional. During the conversation, the active participation of the listener can also be verbally expressed. The verbal methods of empathic listening are based on supporting the interlocutor and using speech to eliminate understanding problems. A conversation - both for conflict resolution and in other situations - can be verbally controlled using two effective methods. What do we mean by this? Paraphrasing goes back to the ancient Greeks and consists of the word parts "para" and "phrásis" together. In their meaning, the technique stands for rephrasing or recapitulation. Anyone who paraphrases repeats what has already been said in his own words and expressions. Those who actively listen use this method to bring the statement to a factual level. This technique is helpful especially in heated discussions. It makes it possible to steer the conversation to a calmer track. At the same time, this method is practical for emphasizing the core message. For example, a conversation can be paraphrased using questions: "Do I understand correctly that ...?" or "Do you mean that ...?" Based on these three language components, the listener can respond in his own words to the interlocutor’s feelings. Especially when mirroring emotions, it is highly recommended to use so-called I-messages. These draw attention to one’s own needs. At the same time, the feelings of the other person can be mirrored and reflected by I-messages. Ideally, this is achieved by formulations such, e.g., "I have the feeling that ..." or "It seems to me as if ...". Such verbalizations of perception always presuppose that in case a correction of false understanding is desired. Do not rashly judge your opponent or the topic of conversation before the person has finished talking. Maintain good eye contact: You should never stare at your interlocutor, nor look around wildly in the area. In no case should you look for more interesting conversation partners during the conversation. Pay particular attention to your posture and body language; Sit down comfortably, smile every now and then and make sure your posture natural. Ask questions to better understand the topic and to express your interest. Switch off disturbing factors; in important conversations you should e.g., turn off your phone and do set it on mute. Do only one thing at a time; If someone stops you at work, say, "If you could wait 5 minutes, I'll listen to you actively!" Do not interrupt your conversation partner. It's best to use these tips in your next conversation. Practice listening carefully. Overcome the stress and bustle of everyday life and take the time and patience for it. Those who want to learn active listening will learn, above all, the methods necessary for this. This requires constant reflection on one's own expressions, behaviors and statements. Awareness of one's behavior during conversations is essential in order to achieve successful communication. The following examples and maneuvers make it easier to more actively guide conversations immediately. Especially for coaches and leaders open, benevolent body language is important, so that the communication in the team and in personal relationships is successful. In your next conversation, you can practice empathic listening together with nonverbal methods as introduction. This includes establishing and keeping eye contact, but not staring. Occasional head-nodding also signals the speaker that the listener is actively following the conversation. In business meetings and conversations, notes are another helpful way to actively participate as a listener. If the body language aspects are already integrated into conversations, it makes sense to use linguistic tools as well. These increase the success of communication and at the same time strengthen the basis of trust between two interlocutors. Repeating facts in the form of "Then, you mean that ...?" Or "Do I understand it correctly ...?" is important, in addition to reflecting perceived emotions in the form of "I have the feeling that ..." and similar phrases, as a building block of successful interaction. Follow-up questions ("I did not understand, can you explain it again?") And agreeing, attentive expressions ("Oh," "Hm", "I understand" ...) also signal that listeners are actively participating in the conversation. Carl Rogers was an American who lived from 1902 to 1987 and established a form of conversation therapy that focuses entirely on the individual and his emotional world. This person-centered way of conducting conversation focuses on the emotional level and on the assumption that people conversing with each other encounter each other in an initial spirit of kindness. This is usually done by paying attention to the feelings and to body language during a conversation. In therapeutic conversations, the psychotherapist responds to the other's feelings by actively listening and verbalizing the feelings of his patients. Thus, he laid the foundation on which today's findings for communication are based. He rejected the usual directive leadership of conversations and turned towards the non-directive form. The core aspect, he said, was letting patients talk, verbalize their feelings and messages, and not to steer the conversation in a particular direction. A well-meaning relationship with the conversation partner should be established. This creates a relationship of trust that allows the patient to open up to the therapist. This in turn allows the person to find solutions to problems themselves. It thus strengthens personal responsibility and is ideal for any life situation. The psychologist Thomas Gordon extended the findings that Rogers applied to conversational therapies, to everyday situations. He often worked with teens and children in the US. Thus, he recognized the importance of interpersonal communication for resolving conflicts without violence. He was nominated several times for the Nobel Peace Prize. The Gordon model is based on person-centered therapy and aims for non-violent conflict resolution in which there are no losers. In addition, empathic listening is an essential part of communication. This psychologist was convinced that people begin to speak by understanding listening. In his model, he assumes that every message a person sends out is preceded by a problem or need. This leads to a coded message that the listener receives. These codes include verbal aspects as well as non-verbal parts. Facial expressions and gestures thus play a decisive role in how a message is transmitted to and interpreted by the other party. Since such an encryption code is susceptible to misunderstandings, empathic listening is essential. The model of Friedemann Schulz von Thun is based on this. This German communication scientist extends the findings of the Gordon model. He developed the model of the "four side of a message". According to this, all messages can be expressed, interpreted and understood in four different directions. The model accordingly consists of a factual level, relationship level, appellate level and a level of self-disclosure. Both the sender and the recipient of a message speak or hear with respect to these levels. Since the sent and received messages rarely match, communication in the interpersonal realm is often characterized by errors, disturbances and misunderstandings. Through active listening, such problems can be understood and effectively prevented. Listening with understanding is an essential component of successful interaction. In order to succeed in communication in all spheres of life, it is necessary to engage each other and to treat the interlocutor with benevolence and without value judgment. This is achieved particularly well by active listening. Non-verbal and verbal techniques complement each other in conversations in order to signal the activity and interest of the listener. At the same time, interactions between the conversation partners already benefit from simple signals. Additional methods such as asking questions, clarifying ambiguities, verbalizing and repeating the factual arguments, help in conversations and prevent misunderstandings and overly heated discussions.